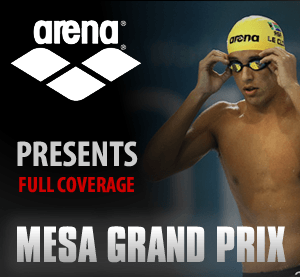 So now that Phelps has dropped the 100 freestyle here in Mesa, we can just take a look at his 100 butterfly. While I am comparing him to some of his best performances, it at least can give us some idea of where he is in his training in his comeback. Phelps finished first this morning at 52.84, putting him in the A final tonight as the top seed. We have added for Mesa the number of underwater kicks off the start and turn, plus the time from start (beep) to the final kick/movement into the breakout. Same for the turn, with time starting as his feet leave the wall. The video was very poor, so all I have to compare is a few notes from Beijing where he seems to average 10 kicks off the start and turn and take 4.9 seconds of kicking off the start and 4.3 of kicking off the turn. Don’t hold me to those numbers, but it will give me something to compare. Pretty much, Phelps is consistent. 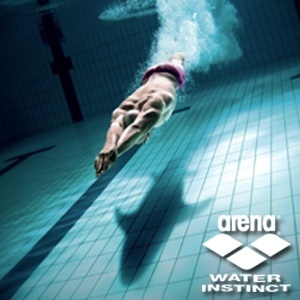 The fact that he can take nearly two years away from the pool, and still hit his stroke count, underwater kick, underwater distance, etc. is incredible. I think the biggest piece of the puzzle here is his stroke rate, which is exactly what I predicted. He doesn’t have the speed per stroke on the front or back half. 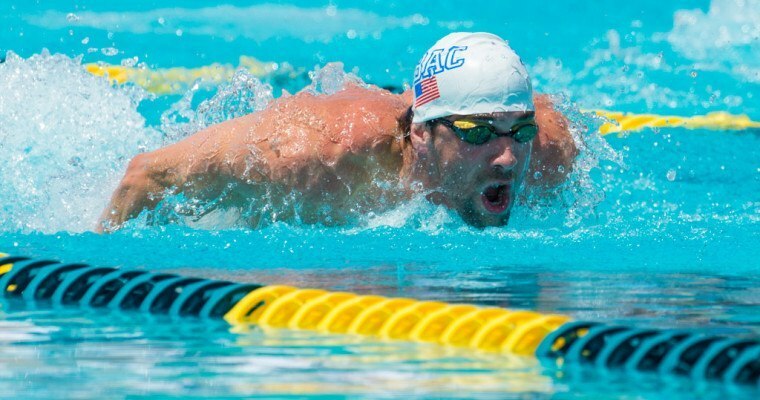 Phelps has always been solid on the back half and it is because of his ability to maintain his stroke rate, when others may begin to slow down due to fatigue. You look at all of his past races we have looked it, his front and back halves are mirror images, as they were in Mesa this morning. Some have asked us what is his distance per stroke. He is the same here as he was in Beijing, as taking 16 strokes over 35m of swimming is about 2.18 meters per stroke. On the way home with about 37.5 meters of swimming for 18 strokes, leaves him at 1.97 meters per stroke. I don’t think is the factor between the Phelps in Athens, Beijing, Shanghai, etc. etc. I think the difference is with his stroke rate; his ability of how fast he can accelerate the water each stroke he takes. Hopefully tonight we can see if Phelps can up that stroke rate to be a bit faster tonight. Plus, his underwaters off the turn were about a half a second slower than they were in Beijing, which could also be some easy time to shave off. 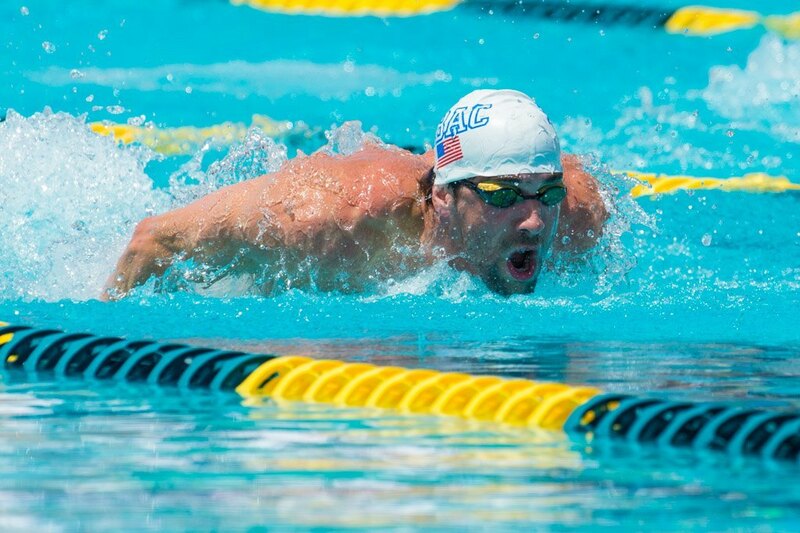 But nonetheless, welcome back to swimming Phelps! So how’s this compare to other in-season meets? Comparing the same fruit there, methinks. glad underwaters were incorporated this time!